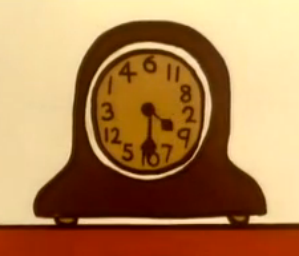 Whilst watching the Mr Silly, Mr Men episode on TV, I noticed he had a rather splendidly silly clock. 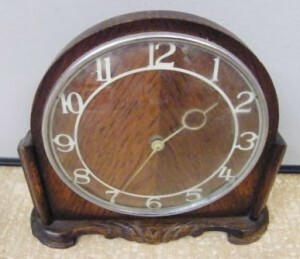 I was having a think and concluded that such a clock could be made and could also be designed to tell the right time. To build this from clockwork would be a very difficult challenge but I thought that a stepper motor driving each hand should work ok. I did some research and although there do exist clocks with non-consecutive numbering these just have standard movements. 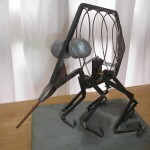 However there projects such as the “Magic Clock” by Brad Collette and the Linear Clock by Sandy Noble which have similar ideas and techniques. 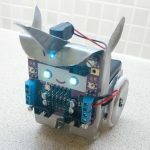 I also looked into driving stepper motors from my favourite microcontroller of the moment, the Arduino. There are a surprising number of mantel clocks available on Ebay and many of them are already broken. The cost of postage was the deciding factor for a lot of these and I wanted to keep the price down. 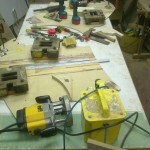 At one point I was looking at working clocks and it did seem a bit destructive to decommision a working clock. I also sourced so suitable electronics to drive the clock. Note that due to changes in UK post regulations, it’s not possible to send lithium batteries through the post so even if your RTC clock has a picture of a battery it may come without one. The software will be key to making the clock work although it’s more of a case of assembling code fragments than writing a lot of new code from scratch. My first step will be to look into driving the stepper motors and then mounting them on some form of chassis. 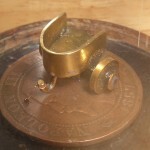 I hope to make the chassis from brass so it looks like it might have been part of the original clock design. There has been a terrible case of mistaken identity, the correct Mr Man to associate this clock to is Mr Topsy Turvy, so from now on this will be known as the Topsy Turvy Clock project. Sorry for any confusion this has caused.